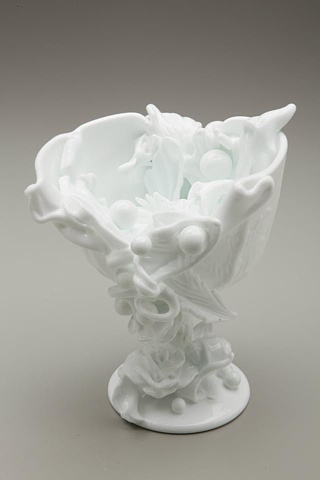 This piece was created using two milk white goblets. The imprinted stamp on the bottom says FTD 1975. Much of the found glass I use comes from The Florists' Transworld Delivery Service, left on thrift store shelves after once holding an arrangement of flowers for a celebration or loss.